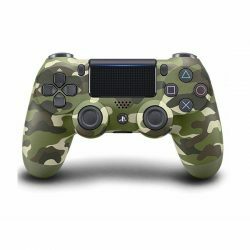 Jūs nevarat pievienot tik daudz "DualShock 4 v2 (Blue Camouflage)" jūsu grozam, jo noliktavā nav pietiekošs daudzums šī produkta (atlikums 0). Last but not least, there are 3 profile options so users can save different settings for different games. HORI understands that there are lots of FPS games – all requiring a different play-style. Customise, Tweak then save to your hearts content with the TAC:Four – Dominate the battlefield. PlayStation Wireless Gold Headset White 7.1.